I wish to extend a warm welcome to all those visiting the ACH Pilates and Dance website and thank you for taking the time and interest to take a look. 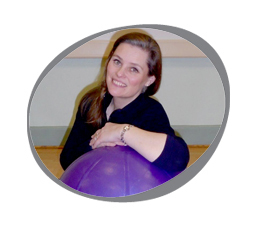 By way of introduction, I am Alex Howarth, a passionate and fully qualified practitioner of Dance and Pilates, as well as a keen advocate of the benefits that both techniques can bring to such a wide and varied cross section of society. Alongside my own professional background and training, I seek to provide a unique combination of skills to all my classes with experience of intensive sport, as well as a full understanding of the physical vulnerabilities we can be exposed to in an office environment. Ballet and Pilates complement each other so well that I continually strive to demystify these extraordinary systems by imparting my knowledge to provide an enhanced appreciation of everyday movements as well as mastery of complex exercise combinations. My ultimate aim is to offer empathy for the rigours of modern day living and introduce highly demanding techniques within a holistic approach to suit each individual’s needs both within and outside of the studio. I continually strive to achieve optimum results for all my clients and regularly attend workshops and seminars to update my own professional development and knowledge within the healthcare and lifestyle industry. It is a constant joy and privilege to show people how, with a little hard work and application, they can achieve results which surpass all expectations. Come and find out for yourself! I’m looking forward to meeting you and welcoming you to my classes!